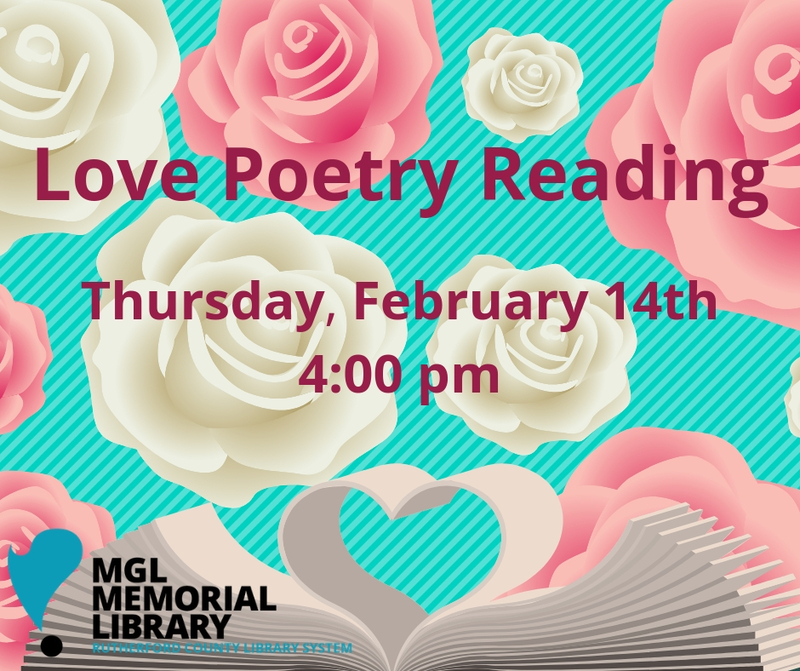 Celebrate Valentine's Day by stopping by MGL Library to listen to and/or share favorite poems that celebrate love. MGL Memorial Library is located inside the Patterson Park Community Center. Center membership is not required to visit the library.